Curbar Parish Council provides internment facilities for multi faith and non-faith burials for Curbar, Calver and Froggatt, located off Curbar Hill. 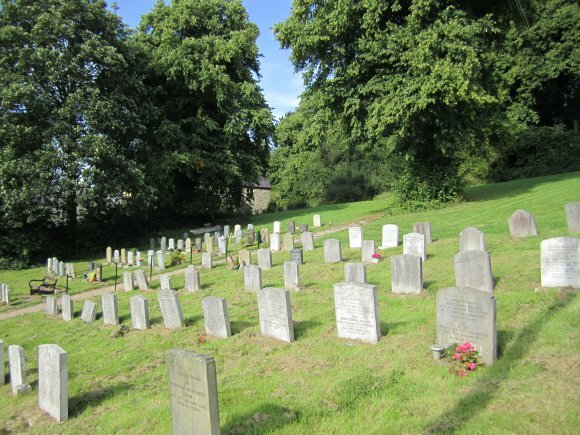 The burial ground is exclusively for deceased individuals who were residents or past residents of the three parishes or who lived in neighbouring areas and had contact with Curbar. The plots are provided in sequential order of need and are subject to a standard table of fees. Maintenance is the responsibility of the parish council. Outside contractors are appointed by the council to do this work. For further information, please contact, Lesley Bramwell, Clerk to the Joint Burial Ground Committee on 01298 938164.